In last few years, nail art has evolved a great deal. Those days are gone now when women used to simply paint their nails with one single color may be just like red or pink. Like many other things on the earth, nail art has developed into various species and it has rather become an innovative and complex field. There is a wide variety of nail art patterns and creative patterns which women can now make use of in order to make their nails look extremely astounding. Now-a-days, one technique is getting quite popular among numerous nail artists and among those who love nail art and that technique is marble nail art. This is the most trending and one of the unique techniques to paint your nails. This is also knows as water marble nail art technique. Though, it is a bit tricky technique but yet quite simple to perform however, you require necessary equipment and tools for this. Coming up are some of the most creative and beautiful Marble Nail Art designs which are definitely worth your try. This is one of the cute combinations. Vibrant colors such as white, pink yellow and orange inspire a beautiful and attractive marble nail art. This is perfect for getting ready and styling like a chic. Simply put a clear coat and you are done. Flowers are completely feminine in nature. 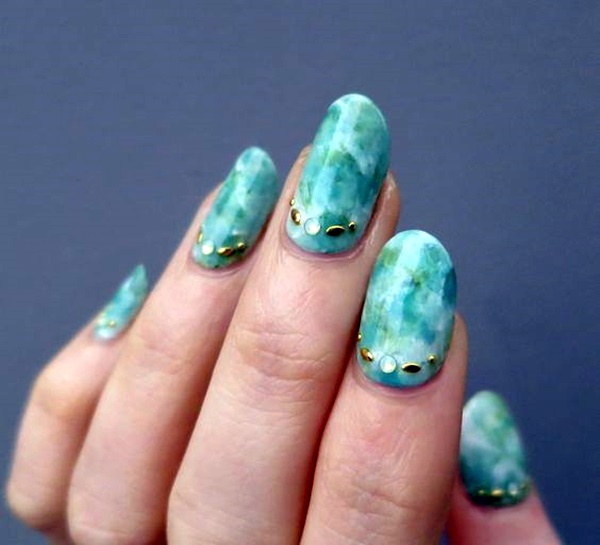 They portray a delicate yet elegant marble nail art. 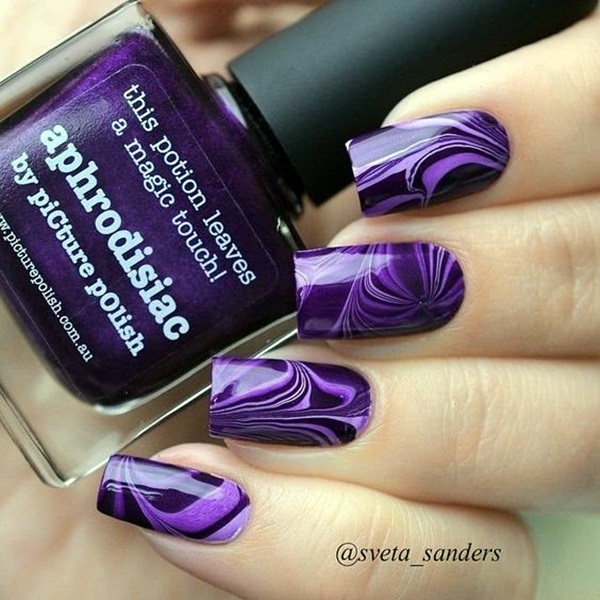 A marble nail art in the shape of flowers in black, pink and violet colors look absolutely awesome. Moreover, these colors topped with silver dust provide a sparkling effect. Make sure the flower is shaped perfectly. Tell your designer about your expectations before getting the art done.